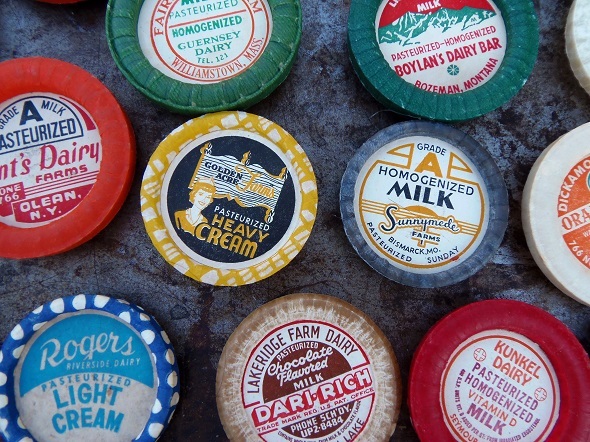 Add a bit of color and vintage flair to your fridge or memo board with these magnets made from vintage milk caps. 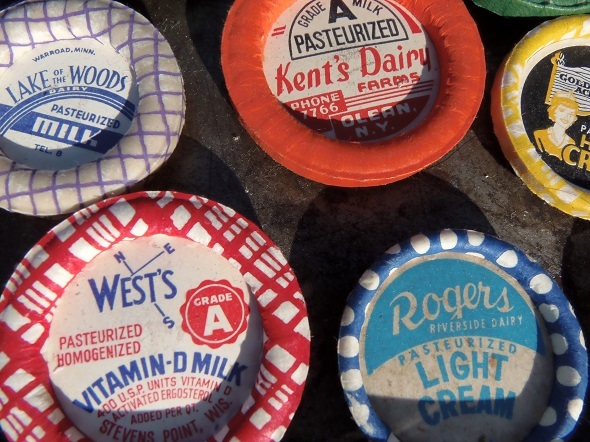 These are new-old-stock milk caps from the 1940s or 50s – not reproductions. 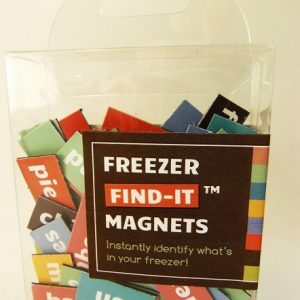 I found them at a yard sale, and turned them into magnets. 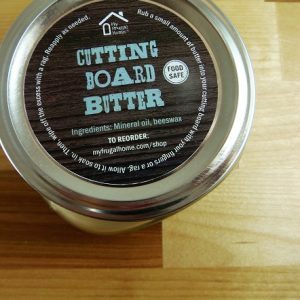 Each magnet measures approximately two-inches across (though the sizes do vary a bit), and I have caps for a variety of products – whole milk, chocolate milk, heavy cream – even some for juice. All the things the milk man used to deliver. 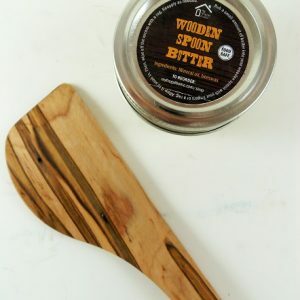 Order several, and I'll make sure you get a nice mix of colors and designs.